All industrial parts washers are not the same. As with any machine, picking the correct tool for the job is important. 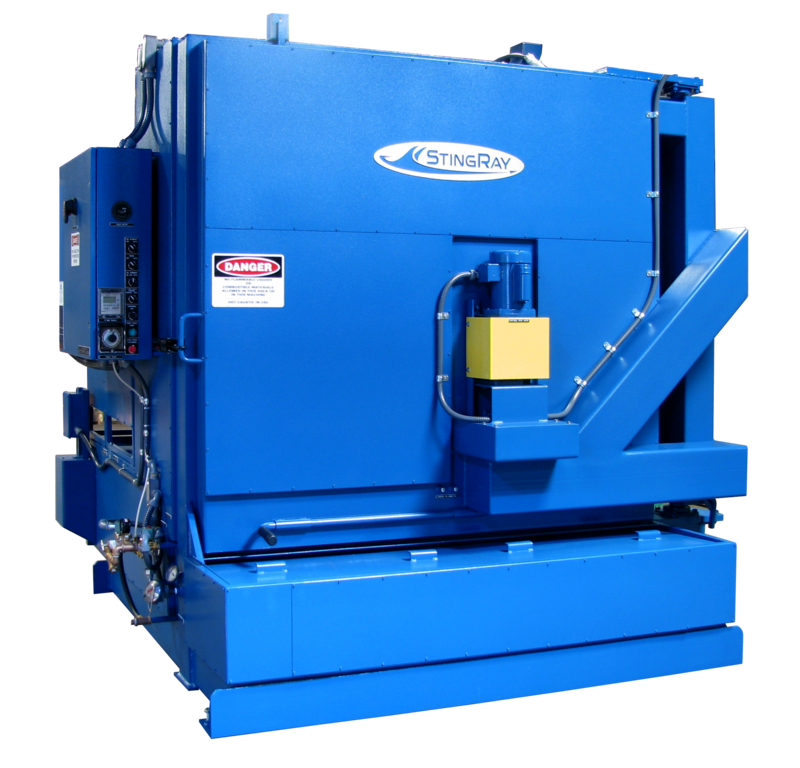 Parts washers vary by size, load capacity, cleaning ability, reliability as well and many other factors. 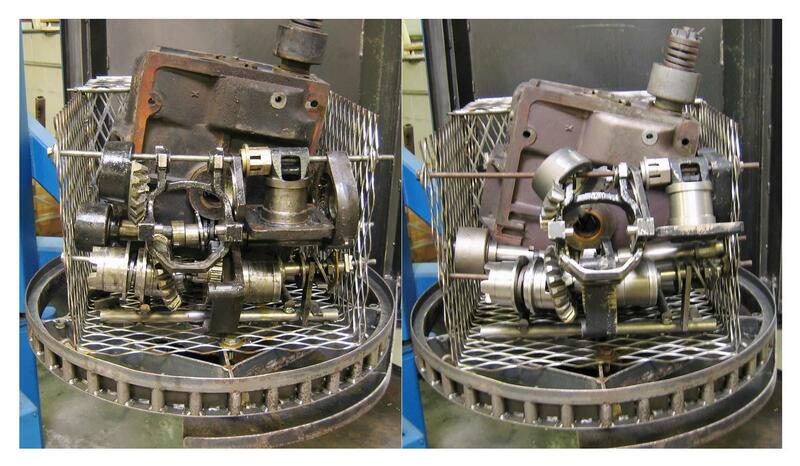 Use this list of selection factors when choosing a parts washer to clean your dirty parts. 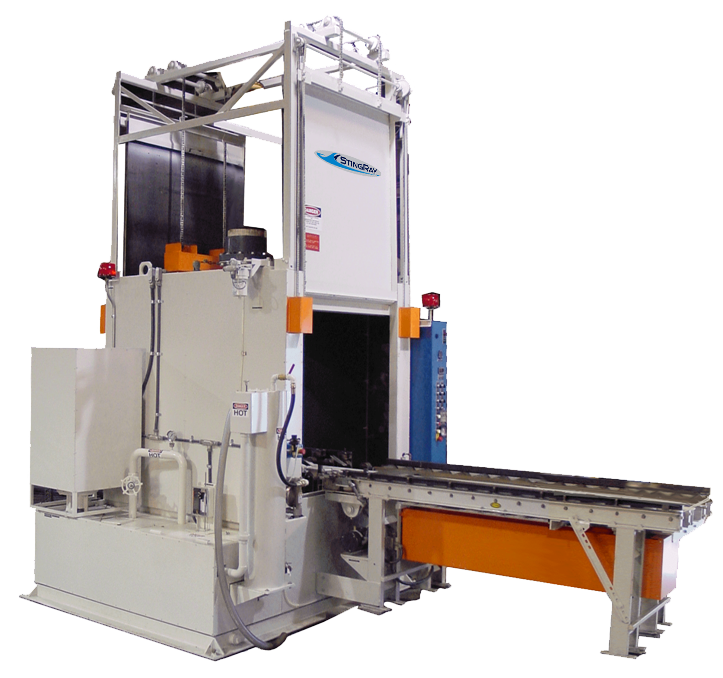 These 11 factors provide a guide for selecting the right aqueous parts washer. ♦ Type of parts to clean - What type of parts need washing in the parts washer? engines, heads, oil pans, bearings, electric motors, crankcase, diesel heads, wheels, engine blocks? ♦ Material of parts to clean - What is the material? metal, plastic, steel, stainless, cast iron, brass, copper - different materials require different types of detergents and different parts washers for proper cleaning. ♦ Size of parts - the size of the parts determines the minimum size parts washer turntable diameter and work height. ♦ Types of soils to remove - What type of soils must be removed in the parts washer? oil, grease,carbon, paint, cosmoline, rubber, varnish. Different soils require more or less power density, pressure, flow and heat to remove the soil. ♦ Quantity of parts to clean - The volume of parts per day helps to determine the mechanical energy the parts washer must deliver to clean the parts. 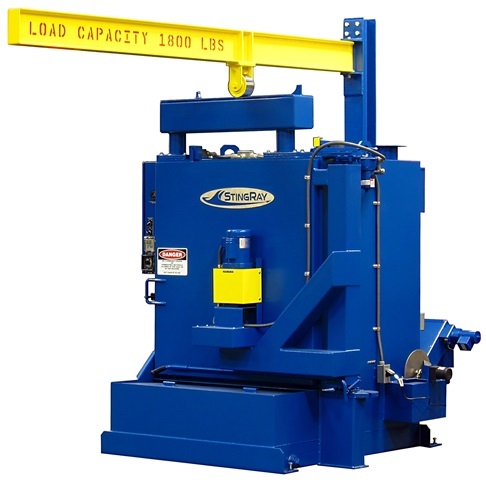 It determines the required cycle time that is available and the number of loads per day. ♦ Cleanliness level required - How clean is clean? What methods are used to determine part cleanliness? 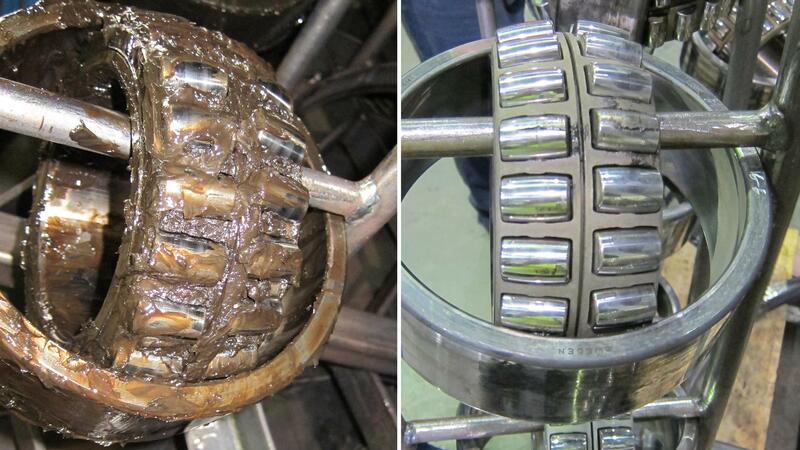 Common methods are visual inspection, particle count, millipore test and the white glove test. ♦ Washing Impact Energy - How much washer horsepower do you need to cause the cleaning you desire? What power density is required - the horsepower required rises exponentially as the turntable diameter increases. Power density is the horsepower supplied per cubic foot of work volume. Make sure the washer has plenty of mechanical energy to remove the soils. StingRay maintains a database of the power density required for different kinds of soil removal including carbon, paint, cosmoline, road soil, bearing grease and more. ♦ Power Wash or Spray Wash - What type of washing process is required? 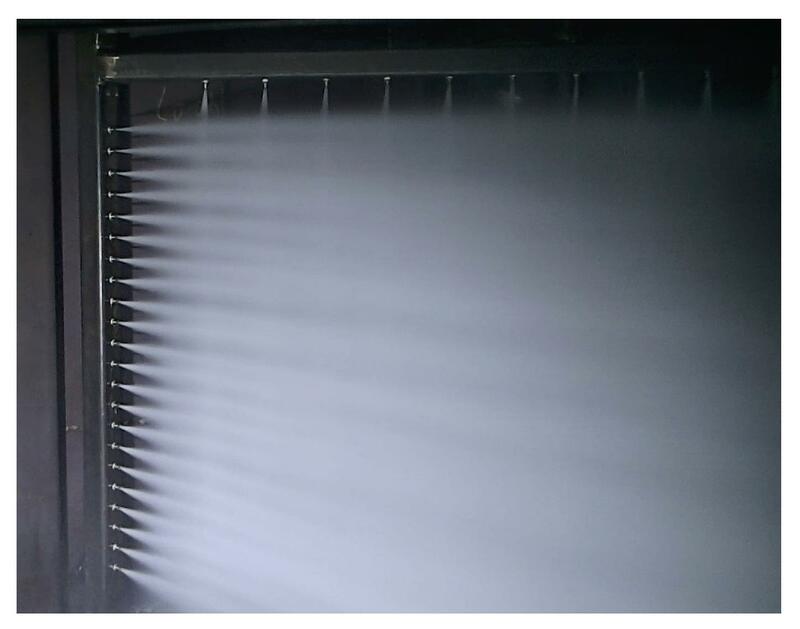 A Jet Spray Washer has limited cleaning ability, depending primarily on flooding the parts with hot chemically concentrated wash solution. In the Power Wash process, utilized in all StingRay Industrial Parts Washers, dirty parts come clean using ultra hot solution blasted at the parts with high hydraulic impact energy. The oscillating spray manifold further enhances the cleaning as parts are blasted with the hot solution at a different angle on each rotation of the turntable. ♦ Space in your Plant for parts washer - Is there enough room for the parts washer to move it into the plant and is there enough space in the work area for the parts washer? consider the door openings, isle way size, parts staging area, door swing, maintenance areas around the parts washer. ♦ Part handling - how are parts moved or loaded into the parts washer? IS the plan to use an overhead crane, parts washer mounted jib crane, fork-lift, manually or a conveyor? ♦ Power Source - What electrical power is available to operate your machine? What is the voltage? Is it three phase or single phase power? What is the total load your electrical supply can handle? Do you have enough amperage for the to run the machine? 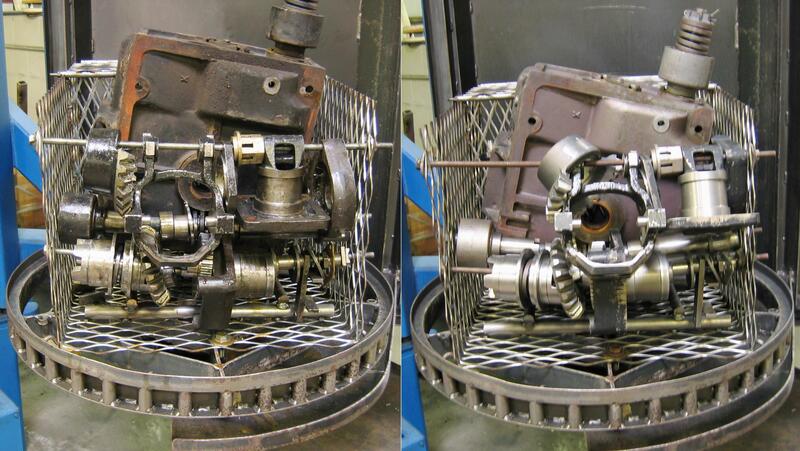 Using a gas heated parts washer greatly reduces the electrical load. Another option is to use load shedding to turn off some of the electric heat when the pump system is operating. This list only gets you to the right parts washer. There are more questions to ask when picking a Parts Washer Company. Some of these questions are related to Service policy and availability, warranty policy, how many warrant claims, how long do your parts washer last? Even questions like do you have a Service Department are appropriate? Still Searching? Ask These Questions!